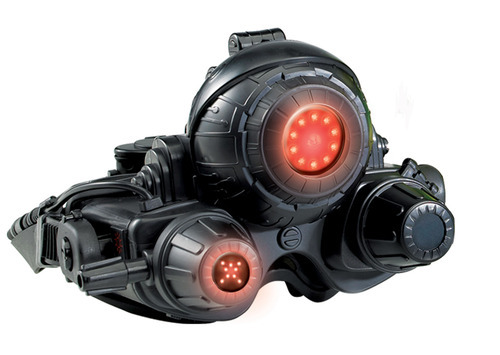 If you don’t want a pair of £99 nightvision goggles, you’re either Swiss or dead. 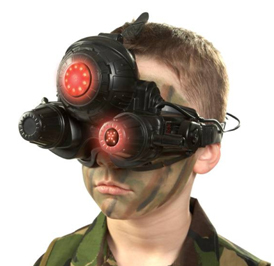 These are part of the British HM Forces foray into the world of “toys” except these bad boys actually give you genuine, green, infra red-assisted night vision at up to 15m. You only get monocular vision, as you do with the fully-fledged squaddie units, but, of course, in the land blind, the one eyed man is the guy that’ll sneak up, steal your mobile and give you a wedgie for good measure. 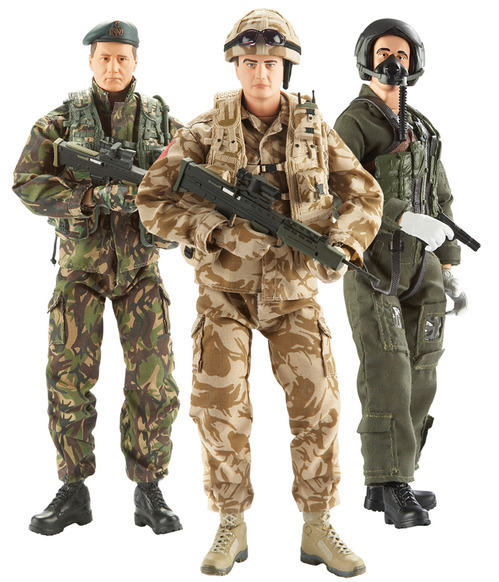 If you don’t plan on sending your children out into the forest at night to gather wood, then you’ll be pleased to see HM Forces has also released a selection of 10 scale model toys too, as well as a few bits of dress-up costume. There’s action figures of servicemen from the RAF, Navy and Army and each one is a perfect replica of just how they big guys should look. 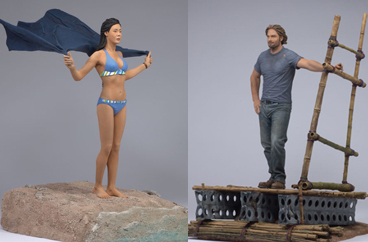 My personal favourite is the Royal Navy Diver complete with tank and flippers. The collection has come as a response from the services as a frustration at how inaccurate other military action figures have been. No word as to the level of realism once down to the action pants. 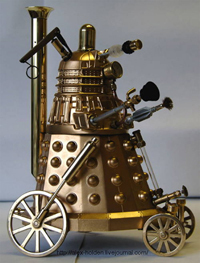 Come on, you were all thinking it. Weren’t you? Oh. 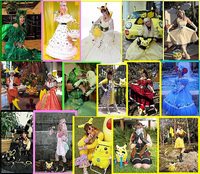 Here’s a lady who calls herself Pikabellechu. 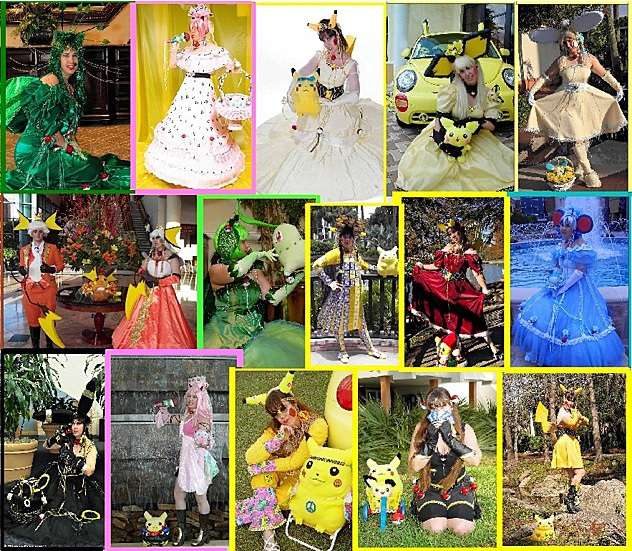 She claims to be the Pokemon Princess, although we’re not sure Nintendo’s lawyers would agree with that. It’s a Star Wars wedding. Not just a a cake grandma made that, from the right angle, looks a bit like a 2D Death Star, but a proper, CAN YOU BELIEVE THEY DID THAT? Star Wars wedding. Everyone put in some effort. Here’s a small celebratory montage we’ve put together of the finest photos. The highlight is the ginger man who grew his beard out to be Chewbacca, plus the grey-haired man who used his natural assets to do a superb Ben Kenobi. The X-Wings let the side down a bit, mind. What’s with the socks?